It is really fascinating how the supplement industry always has fresh ideas or concepts on what products to offer the market. There’s always a new product labeled to be the next big thing, a cutting-edge development that will surely bring loads of benefits to those who use it. Thus, it is not surprising that we hear about re-inventions of supplement formulations all the time. These, usually, are actually just formed in different packaging, but with an outstanding similarity to its predecessor, only improved with a few fresh additions and having a slightly greater cost. 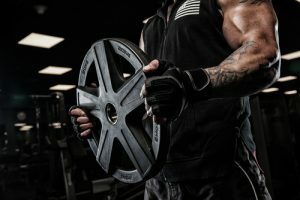 For instance, there’s Beast Sports Creature Creatine supplement, which is considered one of the supplements that has undergone a successful remaking. Before the new version of the supplement was officially introduced, Beast Sports Creature was just a typical brand of supplement with nothing distinctive to provide to its consumers. But two years after re-inventing the supplement and making it something new, it succeeded in penetrating the market with loyal customers that it became regarded as one of the topmost-selling products. For this reason, the supplement became the brand’s highlight. Now, Beast Sports Creature has regular consumers. But the question remains unanswered in the open – does it work and is it safe? Whatever workout you do and for whatever purpose you do it for, may it be for stamina and power, consumes a significant amount of the muscle’s preserved energy. Once used up, exhaustion sets in, which signals you to take a break. The advantage of creatine is that it loads your muscles with preserved energy in order to allow you to last longer when training for more forceful exercises. You don’t get tired easily, which necessitates your to stop. Not only does this stop you from going further when you know you can, but it also hinders you from obtaining the goals you have set for yourself. This way, your chances of getting your desired physical results become higher. As you may have noticed, creatine supplementation has since become typical in the present times. 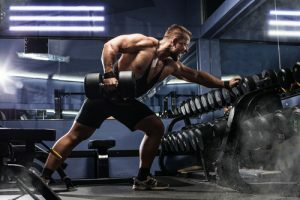 Recreational athletes and bodybuilders even consume creatine-filled products with the intention of increasing their exercise functions and capacities. Basically, this supplement can be taken by anyone who wants to increase their energy levels in order to be more productive with their workouts without exhaustion being in their way. Beast Sports Creature is the kind of supplement that pushes your physical and even mental boundaries and a lot of people want exactly those benefits. Plus, this product is generally reasonably priced. You will even get discounts if you acquire Beast Sports Creature alongside other muscle-developing supplements offered by it s manufacturer. Does Beast Sports Creature Work? The predecessor of Beast Sports Creature comprised of four multiple kinds of creatine, which had an overall amount of 2.5 grams of creatine. The new version of this supplement has increased creatine content, raising it to 3 grams with five various kinds of the ingredient. This is usually the structure or the process when it comes to re-inventing brands with the main ingredient’s content augmented. This particular product also has Cinnulin PF. It is like a cinnamon that functions like insulin the body in order to aid in the metabolizing of sugar. Plus, Beast Sports Creature also has AstraGin in order to aid the body in assimilating the nutrients more efficiently. Beast Sports Creature’s cost is suitably priced at only $0.50 for every serving. The company behind the supplement recommends that you consume the product around 30 minutes prior to starting your workout session, as well as 30 minutes after your session is over. Overall, you will have to spend $1, which is a good price and is not as expensive as other similar products. As mentioned earlier, Beast Sports Creature sets itself apart from its competitors by being reasonably priced, an aspect that most customers look for in a product. For something that you need to maintain on a regular basis, affordability is crucial. Plus, Beast Sports Creature is a great pre and post-workout supplement despite its low cost. Its reasonable pricing does not sacrifice the quality of the product in any way, which makes it an ideal supplement for your workout needs. There are multiple kinds of creatine in the market and nothing is as multifaceted as this one. On the other hand, bear in mind that muscle development cannot be obtained by supplementation of creatine solely. As a matter of fact, creatine does not really aid in muscle growth, it only provides your muscles the power it requires in order to keep exercising for a more significant period of time without fatigue getting in the way. If your priority is building lean muscle mass, you’ll have to take another supplement that’s designed for muscle enlargement.